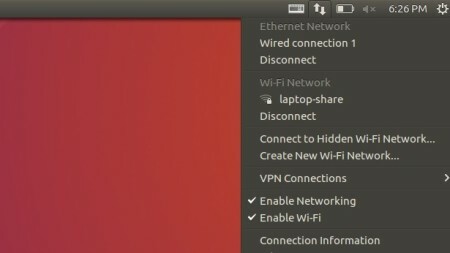 The default network manager in Ubuntu 16.04 now supports to create WiFi hotspot for Android devices. You can create a Wireless access point in Ubuntu 14.04 using Unity’s default network manager, but a little hack on the configuration file is required. 3. Choose WiFi from the drop-down box in the next window and click Create button. Type in connection name, SSID, select Hotspot mode. 5. 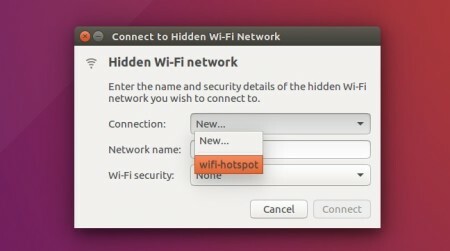 After clicked the save button, enable WiFi and click Connect to Hidden Wi-Fi network and select connect to the connection you just created. Finally connect to this hotspot from your Android device and enjoy! (2) Connection ‘MyAP’ is not available on the device wlp3s0 at this time. Do you know what might be wrong here . Addicional drivers –> Don’t use Broadcom Corporation Proprietary Wireless Network Adapter, Chosse (Do not use the device) —-> Apply Changes. —> Restart and try again. Now there is no driver for my Wi-Fi card. Why is that supposed to work?? This problem may be occur because driver of your wi-fi card does not support the AP (Access Point) mode. You should use another wi-fi card driver with AP mode support to avoid this error. Are you using the broadband wi-fi card ? Hey, Thanks !! but can you tell how to set a password for the hotspot . i dont have a wired network, only wifi, because the modem is in other room.. so, how i do?.. i had tried several answers on askubuntu etc but none worked. but your detailed solution has done. 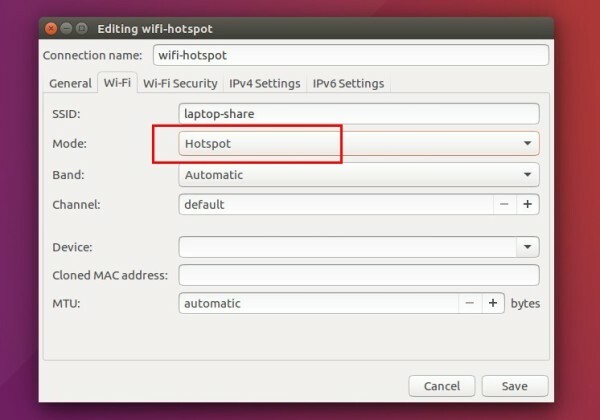 Is it possible to create a hotspot when the Ubuntu device does NOT have any internet connectivity? That probably sounds weird, but my goal is *not* to share an internet connection. 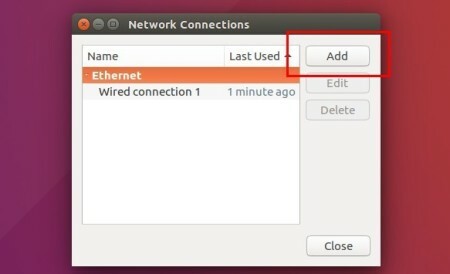 My goal is to share files, over wifi, in a CAR, with the Ubuntu device acting as the hotspot + file server. The devices will be various iOS and Android phones and tablets. 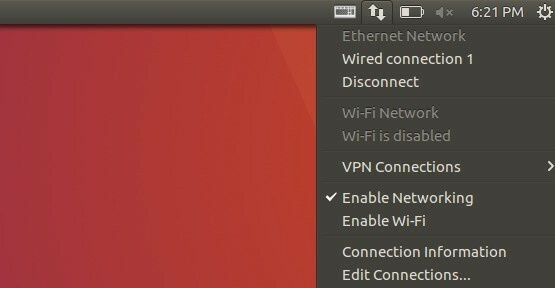 I’d like for up to 5 devices to be able to stream video files from the Ubuntu device, while we are traveling. I’m using a thinkpad. Your tutorial works and now my thinkpad can be a hotspot ap. Previously I thouht it only works on windows. Good tutorial, worked for me on my Inspiron-7447. But i’m having this small issue with the wifi icon indicator, keeps showing the loading icon. regardless, the hotspot works fine. How can I change the AP IP address? 10Q! for everything! 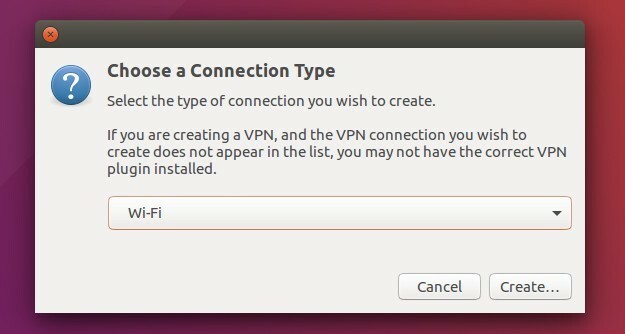 … “(2) Connection ‘Wi-Fi Hostpot’ is not available on the device wlp12s0 at this time. ” How to solve this idea ? 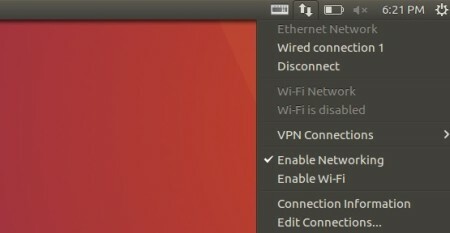 I would like to use 2 wifi adaptors – connect my laptop to the internet with one wifi adaptor, then share a wifi connection with the other wifi. Do you think your setup will work for this?